I am currently fascinated with Pillywiggins, which I just learned about a few days ago from Mary Ann of Gardens of the Wild, Wild West. Pillywiggins are garden fairies from England and Wales who seem to be associated with spring flowers, hence the picture of tulips. And that is about all I know about Pillywiggins or could find out about them. My online search did not yield much information, though I searched several different sources, including online books. There just is not much known about Pillywiggins other than they are garden fairies associated with spring flowers. I am therefore beginning my own study of Pillywiggins. My first observation in my own study of Pillywiggins is that just saying their name makes people smile. Pillywiggins. The world needs more smiles, so I'm going to say this new word a lot to verify that my observation is correct. Pillywiggins. Pillywiggins. Pillywiggins. To attract some Pillywiggins to my garden, where I can observe them up close, I also plan to plant more spring flowering bulbs this fall. Then next spring my garden will be a veritable Pillywiggin's' Pleasaunce, a garden for their pleasure, a garden where I can observe them. 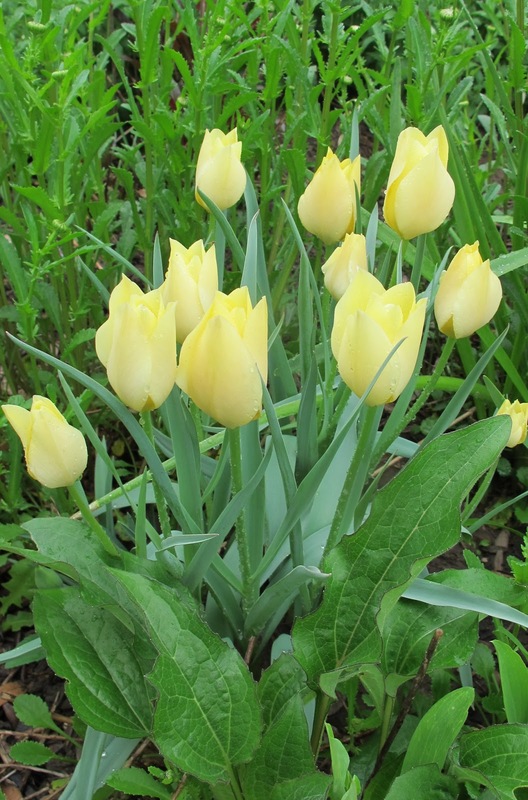 I haven't ordered my bulbs yet because I was suffering from Drought Delay, a mild form of lethargy brought about by weeks and weeks of hot, dry weather. But I've learned that the cure for this is some rain plus the discovery of Pillywiggins. That is my second observation about Pillywiggins. Knowing about them causes you to buy and plant more spring-flowering bulbs than you had planned for. I will verify this observation this weekend when I order bulbs for my garden. Pillywiggins. My garden many never be the same again. The pilliwiggins will be very happy in a garden that smiles in every season. What about the resident garden fairies? Are they welcoming? We need us some pilliwiggins in this drought, don't we? Here in Missouri, the flower fairies are in hiding somewhere in the woods, I believe. I've been saving up to buy a 50 bulb lot of some kind of spring ephemeral. I haven't decided which one yet....bloodroot or Dutchman's breeches or Yellow Trout lily. I wonder what the pilliwiggins would enjoy most? I'm fairly certain no self-respecting pillywiggin would be caught cavorting in my gardens, at least not in August. Perhaps I should plant some bulbs for them to enjoy in early spring, though, before they make their way north to your gardens!